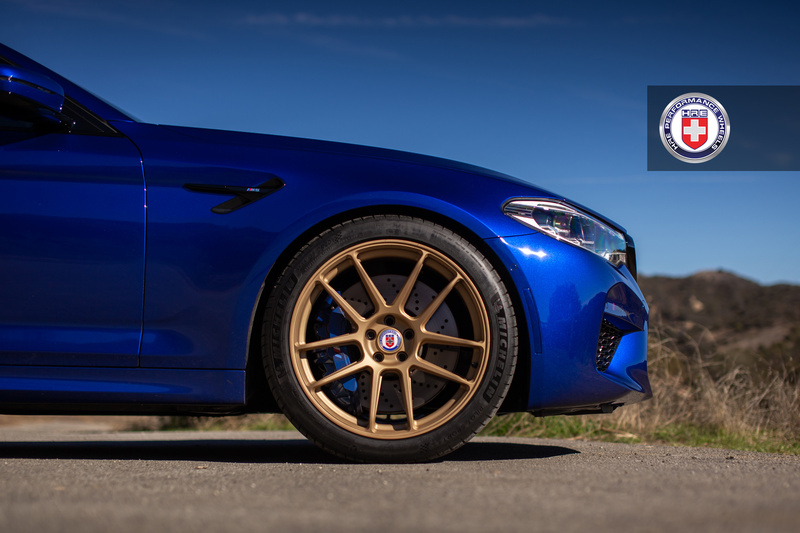 Even though we can already see all the angry replies in the comments below, this San Marino Blue F90 M5 looks really good with a set of these HRE RC104 forged wheels in a Satin Gold Finish. 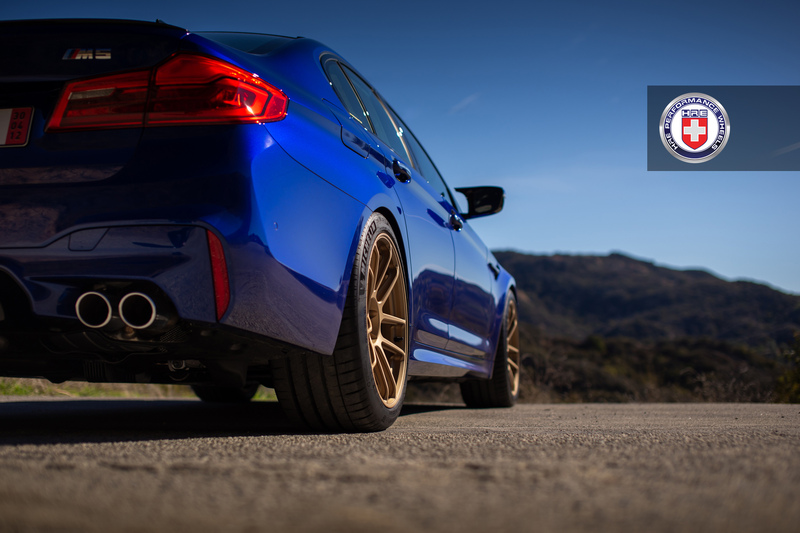 While an unusual combination, the blue and gold was highly popularized by the likes of the Subaru Impreza WRX STi back in the 2000s. 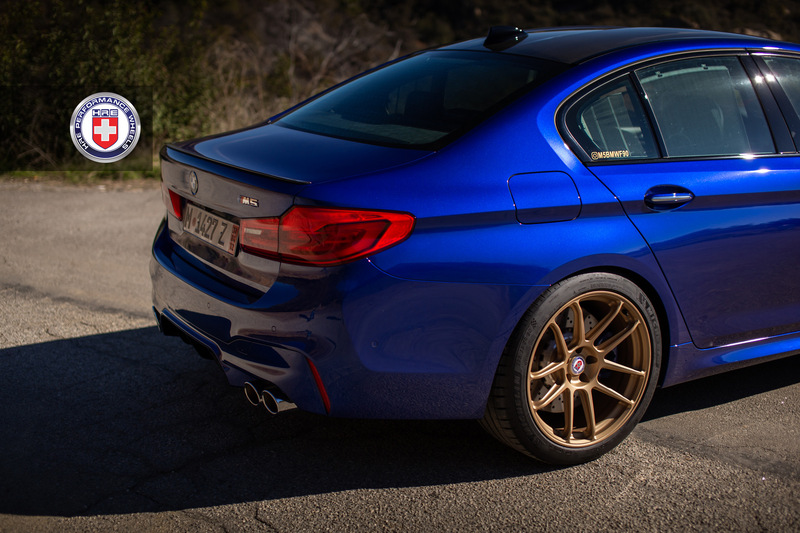 And for the most part, the look stuck with aftermarket tuning aficionados worldwide. 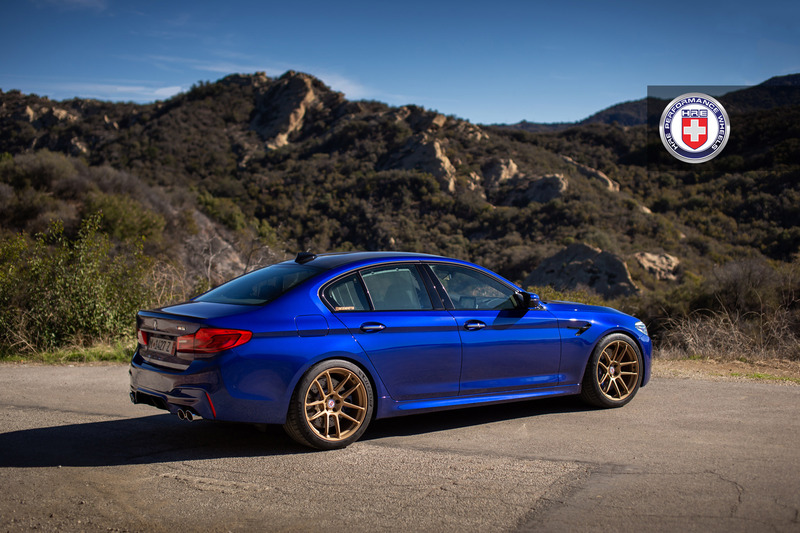 However, the latest generation of the BMW M5 is miles ahead from the Subaru Impreza WRX STi in the performance department. The vehicle is powered by an evolution of the S63 engine found in the previous generation of the same vehicle. 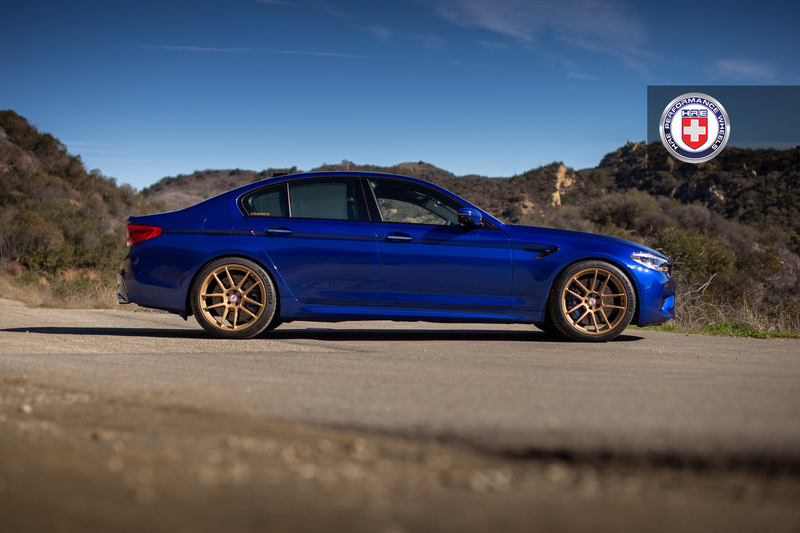 While it comes with the same 4.4 Liter displacement, in the newest generation of the BMW M5, it delivers 600 horsepower and 553lb-ft of torque. 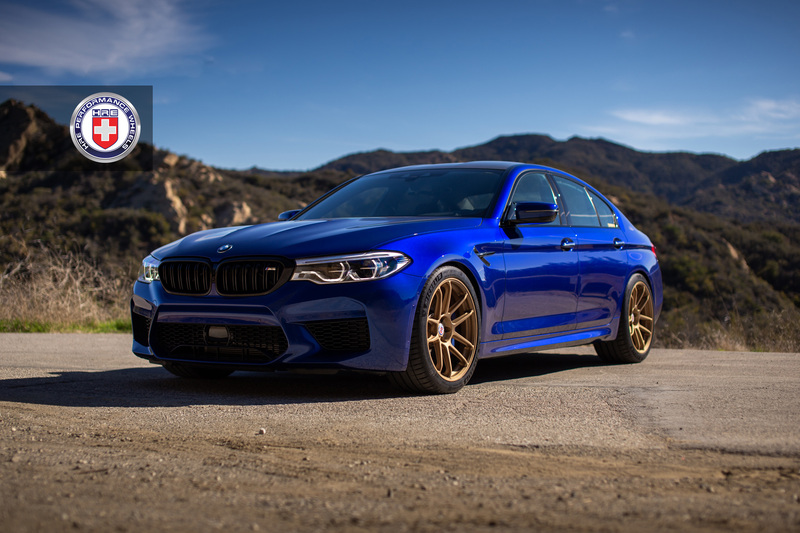 Add the 8-speed M Steptronic automatic transmission which makes use of the additional horsepower and torque, and it’s capable of sending the engine’s power to all four wheels when needed, and this new M5 creates an impressive high-performance driving experience. 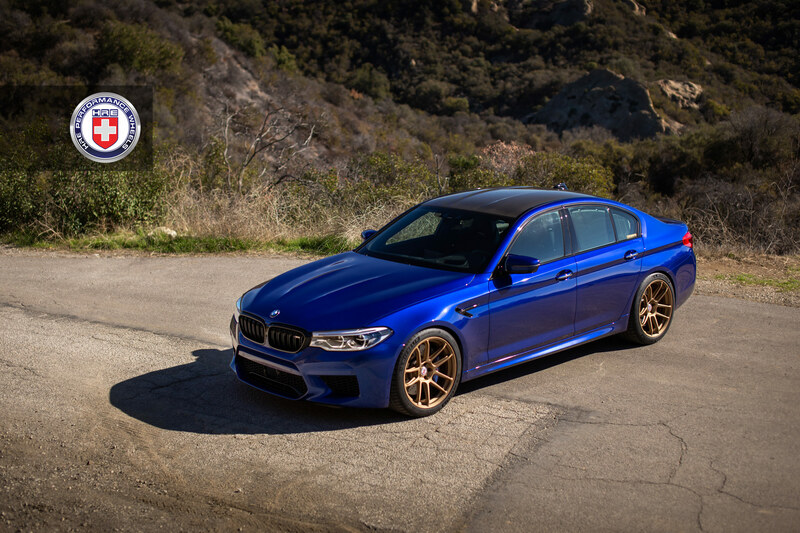 In turn, the 2019 BMW M5 is able to sprint from 0-62mph (0-100km/h) in just 3.2 seconds. 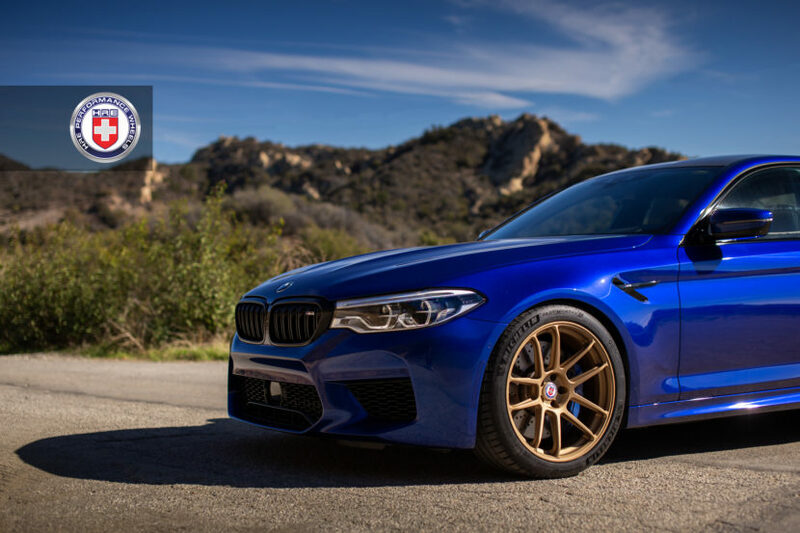 However, thanks to the popularity and impressive numbers of these M5s delivered, some owners turn to the aftermarket industry to add a bit of a personal touch to their vehicles. 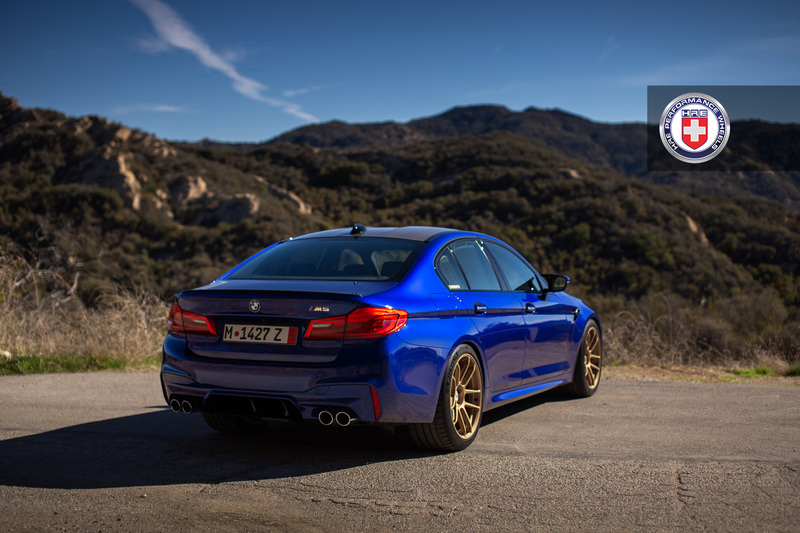 The owner of this beautiful San Marino Blue BMW F90 M5 went with a set of HRE Wheels. 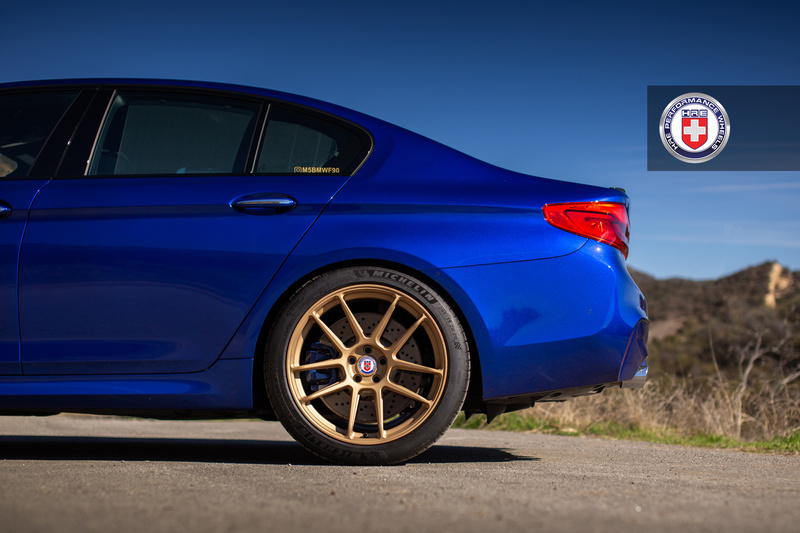 For many, one of the best custom made forged wheels available on the market today. 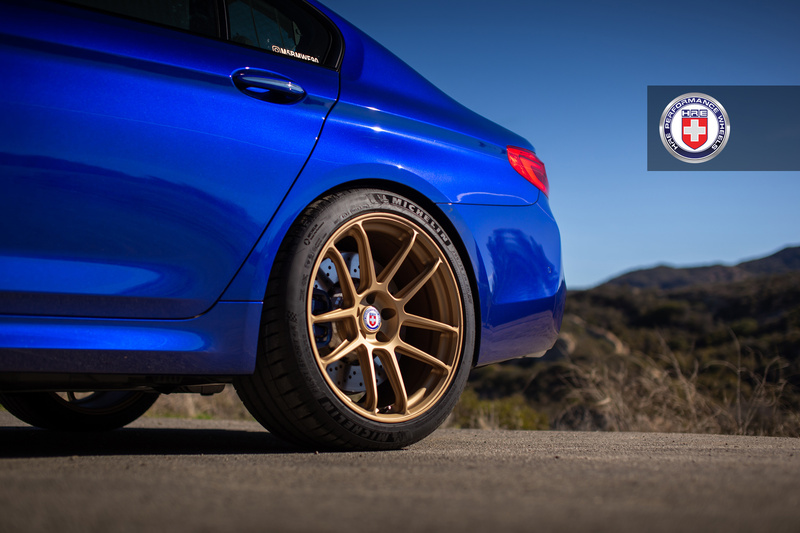 For this build, the wheels are installed in size of 20×10 in the front and 20×11 in the rear. 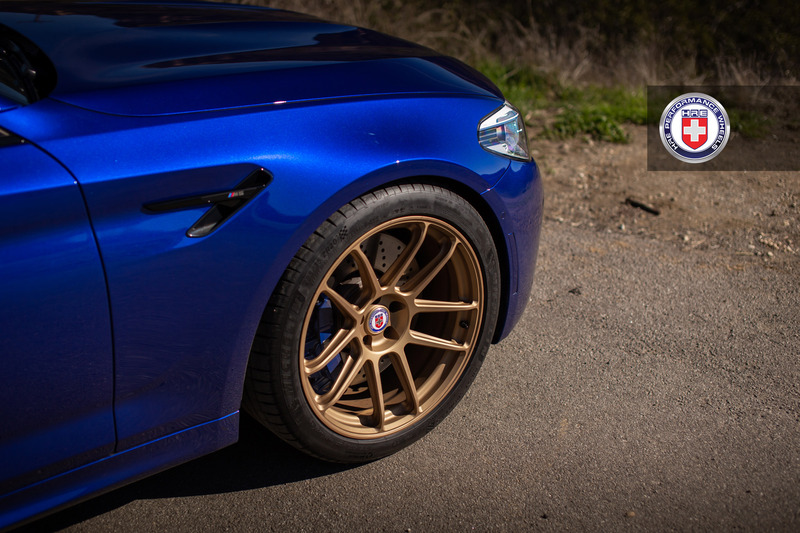 The aforementioned Satin Gold finish works perfectly to offset the blue, making this one of the most striking BMW F90 M5 builds to date. You can view the entire media gallery of this build right below.